Mark 5 Films | an acting and film training company…..
an acting and film training company….. Please explore the website to know all about Cinema Calling an acting and filmmaking workshop. Use above tabs to know about the concept, Format, Pupose of the programme. It is one of the best filmmaking programme available in India. 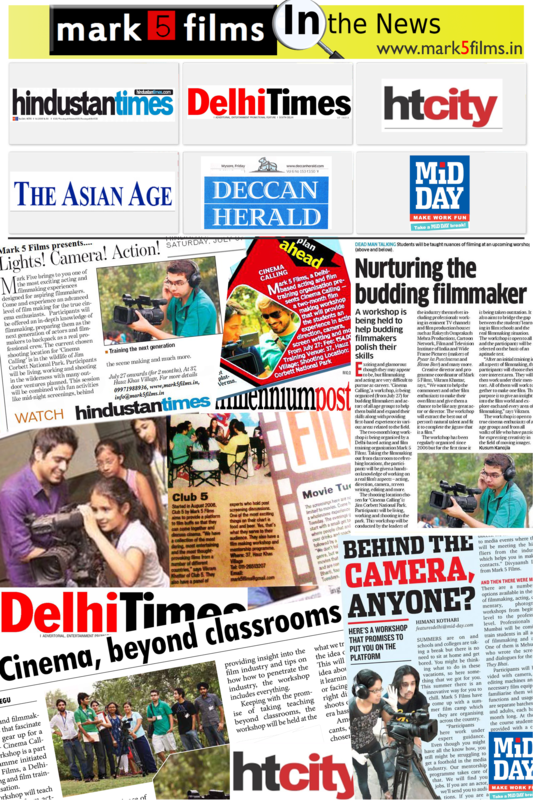 Filmaking Camp is one of the top film schools in the world and best film institute offering diploma Programs in India. Master director Stanley Kubrick once said that the best thing for young and wannabe filmmakers to do is pick up a camera, any camera and just go ahead and shoot a film. It is out of this philosophy that Mark 5 Films was born. A consortium of filmmakers , writers, actors, cinematographers, models and a whole lot of other creatives, Mark 5 Films has been taking cinema to the masses since 2006. Mark 5 Films is not a film school. It is not even a polytechnic of cinema studies. In fact we do not believe in the structured education system. Even our trainers are not teachers and professors. Proffesionals from the Film and TV industry have joined hands to impart hands-on knowledge to our students. Students study in a real working environment, say like a studio or a film set, while learning the technicalities in our interactive class room sessions. So when they leave us after the course, not only are they well versed with the theory and grammer of cinema, they are also part proffesionals, having worked in the real world, ready to take on any creative challenge. So it is little wonder that our batches have gone on to make festival-winning films, acted in big films with top directors and are now taking the TV world by storm.Mark 5 Films has also expanded its base to launch Club 5, a fraternity of creatives from all over the country. Our mentorship programmes under Club 5 have successfully placed newbies in places most desrving of their talent and continues to provide a platform for good quality work in the field of cinema.